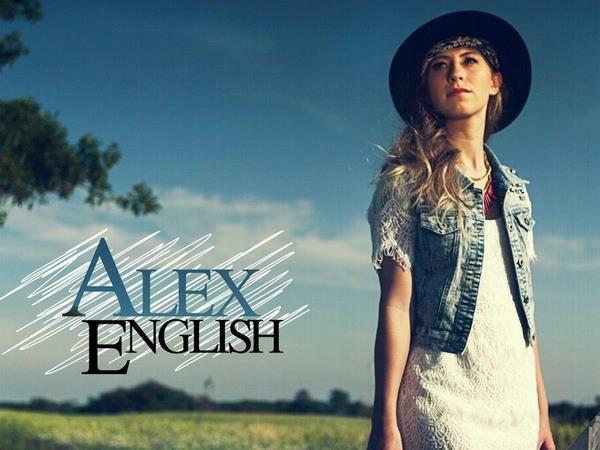 Join us this week as we welcome Indie/Pop music singer songwriter, Alex English. Hailing from Colts Neck, NJ., Alex has been singing since the age of 8, later learning guitar and writing music by the age of 12. She had written and released her first full length album titled ‘Thank You’ at 13 years old while always continuing to write new music. Alex has played at many shows, fundraisers, private events and festivals throughout the tristate area helping her community while spreading her unique original sound. Alex caught the attention and earned the recognition of Joey Arbagey who works with artists that paint the airways in todays music world, and Barry Jay Reiss who has his influential presence with some of the most famous names in classic rock today. As her music consultant/manager Joey has created a team around Alex, which led to the release of her second EP self entitled ‘Alex English.’ As this EP continues to flourish, Alex continues to write and produce new music on the regular. With the continued support and guidance from her team Alex looks forward to the future. She is currently a sophomore in college studying music business/management. Alex is a proud member of Phi Theta Kappa as well as a Dean’s list student, We will talk to Alex about her upcoming schedule, get a behind the scenes look at her music, feature her latest songs, and ask her to share her message for the troops. Please be sure to visit Alex English at http://alexenglishmusic.com/ and spread the word. Fans are welcome to call in and speak live with Alex during the show (718) 766-4193. If you would like to participate in the live chat during the show, you must sign up on the show site first and then log in during the show. As always we will give shout outs to our deployed military listeners. Our message to the troops: WE do what we do, because YOU do what you do.